Click on the 'Products' tab to browse through what type of soaps we have in store. Note down the product name and quantity and send us an email at saponifist@gmail.com with your name, contact number and shipping address. Wait for our response and we will advice you on the total weight and amount of your order. 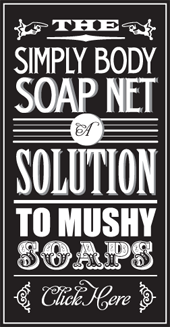 Upon receipt of your payment we will dispatch the soaps on the next working day and a tracking number will be emailed to you. We currently accept bank in or transfer to Maybank. Please notify us by email at saponifist@gmail.com after payment and quote your order number for easy reference. We shall arrange for delivery upon received your full payment. All orders will be ship via PosLaju Malaysia with an estimated delivery time of 2-3 working days. We do ship to Singapore upon request. Please email us for rates.